Spa specializes in some of the most fabulous Facial Treatments, Body Massages, Body Scrubs, Cellulite Wraps, Brazilian waxing, electrolysis, manicures and pedicures. 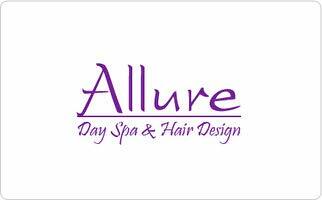 Allure Day Spa has everything you need to renew yourself from our award-winning facials, and couples massages to hair removal and body treatments. Spa also popular for its one-stop-for-everything convenience since it has full Hair Salon with talented hair stylists ,colorists and make-up artists, best known for wedding hair-dues, color corrections and keratin treatments.